A fast-growing equipment repair franchise sells itself as a speedier and less expensive alternative. The dental equipment market is expected to grow to more than $7.1 million worldwide by 2019, up from $5.4 million in 2014, according to “Dental Equipment Market Current Trends, Opportunities – Global Forecast to 2019.” Factors include the growth of an aging population, and increasing demand for cosmetic dentistry. But another factor is finance. 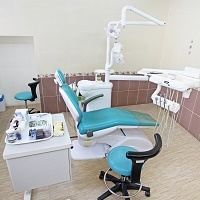 A dental chair alone can cost upwards of $14,000. It’s also part of the reason why Dental Fix Rx, a mobile dental equipment repair service franchise, has experienced significant growth in recent years. This year the company jumped from No. 188 to No. 149 on Entrepreneur magazine’s list of the top 200 Global Franchises worldwide, and recently sold its 250th franchise. “Within the next five years we expect to have complete nationwide coverage,” says Scott Mortier, executive vice president of business development for the company. Mortier explains that none of the nearly 400 owners of Dental Fix Rx franchises in the US had any prior experience servicing or repairing dental equipment. What they have in common is they are owner/operators who live in or very near the territory they purchase. That enables them to address an emergency situation quickly. Dental Fix Rx franchisees spend eight weeks learning their new trade. That includes three weeks of online instruction prior to attending three weeks of classroom training in Davie, FL. An apprenticeship week follows, where the new franchisee will spend a week with a regional trainer, who is also a franchise owner, applying what they learned in the classroom. “And when they launch their business we fly out and spend the first week with them,” Mortier says. But it’s the speed of service, Mortier explains, that sets Dental Fix Rx franchisees apart. Wingfield says he began using Dental Fix Rx in 2013 as a backup for times when their regular service providers couldn’t get there fast enough. Eventually those occasions began to add up. Time is money, Wingfield explains. That not only impacts dentists and their staff, but patients as well. If a chair is down, patients need to be rescheduled. That’s an inconvenience, but it can also serve as an excuse for putting off needed care.